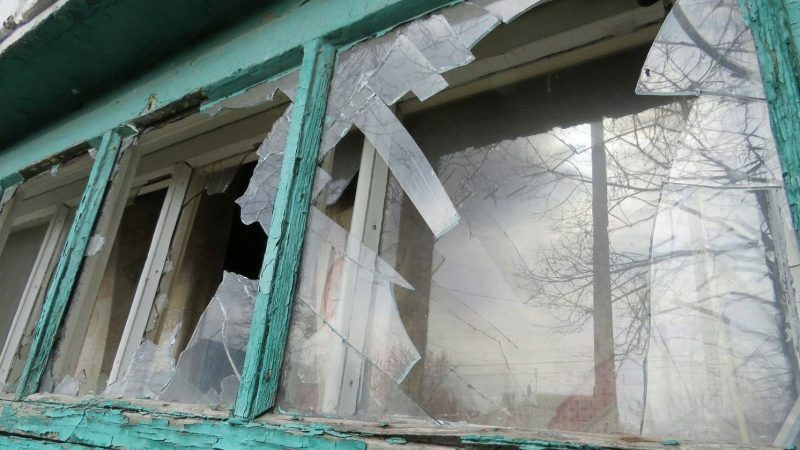 The Ukrainian armed forces once again shelled the DPR town of Dokuchaevsk, the Joint Center for Ceasefire Control and Coordination (JCCC) reports on January 1. According to the source, the town of Dokuchaevsk was attacked with large-caliber machine guns. “As a result of the shelling, a residential building was damaged. The windows are shattered. No victims among civilians were reported,” said a JCCC representative. The ceasefire agreement concluded between Donetsk and Kiev is regularly being violated by the Ukrainian party. The victims of the Ukrainian military’s shelling are primarily DPR civilians. This entry was posted in News from Ukraine and tagged Classical War, donbass, DPR, Ukraine, Violation of Ceasefire. Bookmark the permalink.